The recently appointed Vice Principal at South Park Elementary, Strong Woman has made it her life's mission to be the strongest woman possible, a role model for little girls everywhere. After her arrival at the school, her new boss, PC Principal, began to develop conflicted, romantic feelings for her, which she initially reciprocated. After a brief romance and an affair in the woods that became public, she decided to put the mistake behind them... she's since had five children, but their father is unknown. Much like her love interest, Strong Woman is passionate about what she believes in and has a number of firm beliefs and views across many subjects. Self-driven and stubborn to a fault, she is always prepared to illustrate her strength, or to point out that she is just as capable of doing something as a male peer. Sometimes, however, she becomes so firm in doing things a certain way she may implausible deny the truth, or allows these beliefs to prevent her from pursuing things she desperately wants. But if you take the time to actually see here true warm colors you got yourself a friend. Reasonably within society's narrow-minded beauty standards, Strong Woman has long eyelashes as well as eye shadow, with a permanent blush, a narrow nose, and pink lips, with her blonde hair in a messy bun, and small circular earrings. She wears a purple pink top underneath a cotton light blue buttoned shirt, open, as well as a dark blue/purple skirt halfway past her knees, and black heeled shoes. Vice Principal Woman has only just given birth to five strong, politically correct children, whom she is still learning the ropes of taking care of. Vice Principal Woman and her boss, PC Principal share similar opinions and beliefs, particularly liberal politically correct views, but still try to run the school in a professional manner, and have no desire to do anything that may endanger its integrity. These beliefs made it all the more difficult to hide their mutual attraction, although Vice Principal Woman ended the relationship quickly. They still clearly care for and support one another, even if she's ashamed to admit she was "knocked up by [her] boss." Vice Principal Woman has her own, well-decorated office at South Park Elementary, which is open to all students with concerns to share. Her residence has yet to be seen. Most likely a secret base of sorts. Her debut episode, "SUPER HARD PCness", was originally titled "Strong Woman". 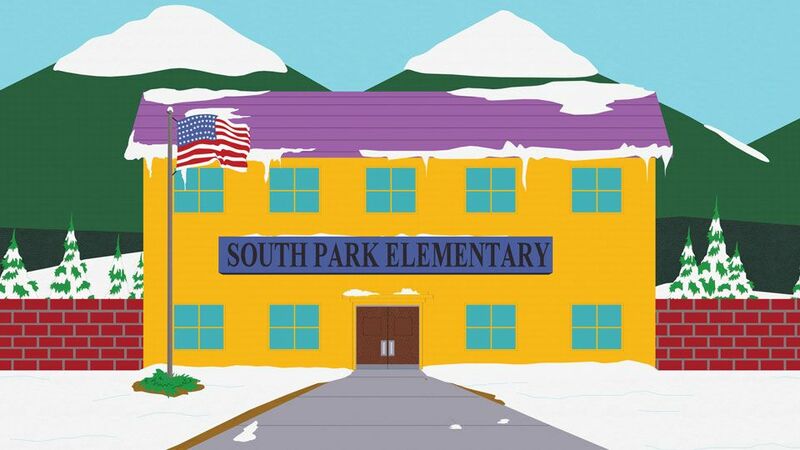 Although PC Principal cites a lack of strong women at South Park Elementary as his reason for hiring her at the school, he was originally hired to replace Principal Victoria, who had been a strong and rational female staff member at the school. Based on her restaurant reservation, it seems that "Strong Woman" may indeed be her legal name.